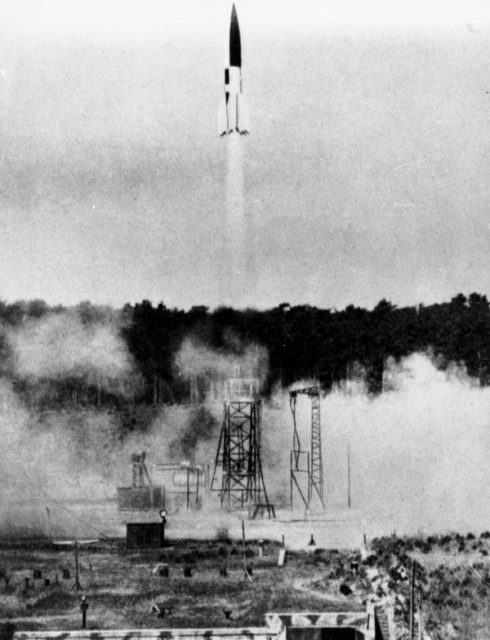 As early as 1932, inquiry into the use of rockets in warfare was conducted in Germany. 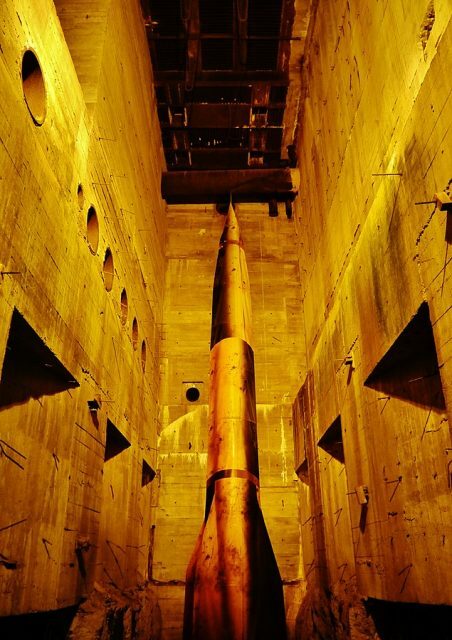 The military was thinking outside the box, figuring out ways to override the strict armament prohibitions that the Treaty of Versailles had imposed in the aftermath of WWI. 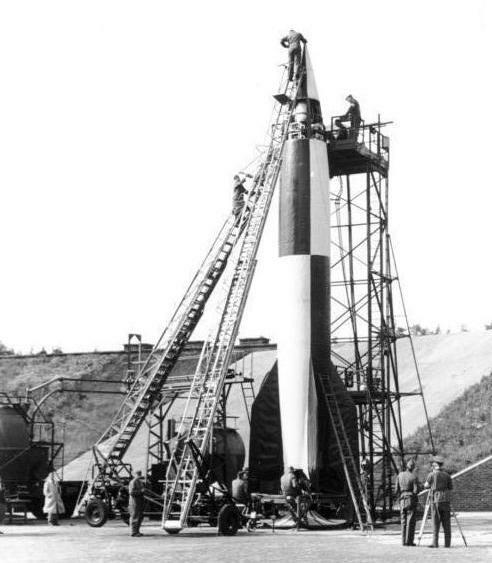 Soon after Hitler consolidated his power, a young and ambitious engineer named Werner von Braun assembled a team of 80 rocket enthusiasts at Kummersdorf. 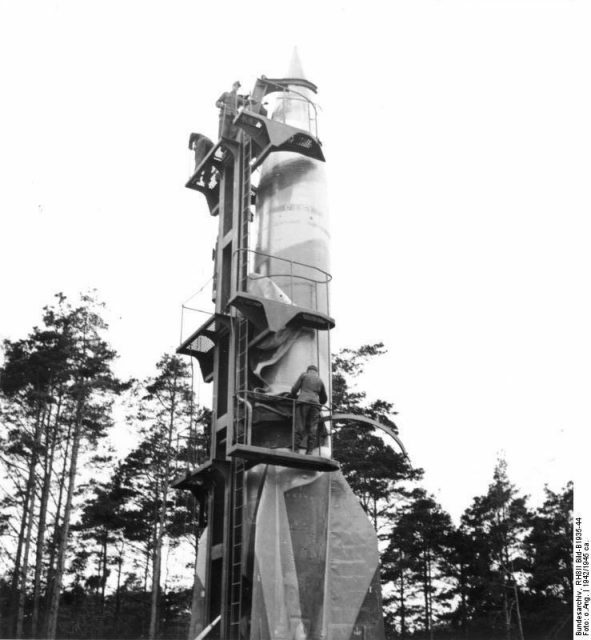 They soon formed the core of German rocket production. 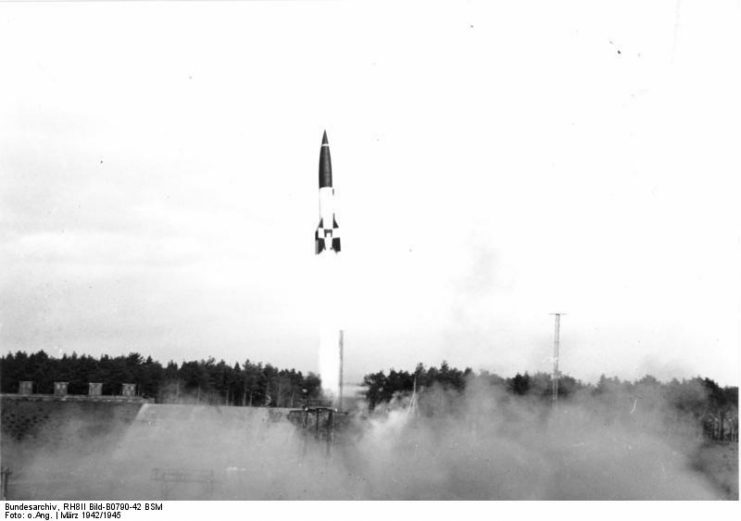 After partial success with prototypes, the group received further funding and was transferred to facilities at Peenemunde on the Baltic coast, which would become the birthplace of both the V1 and the V2 rockets. 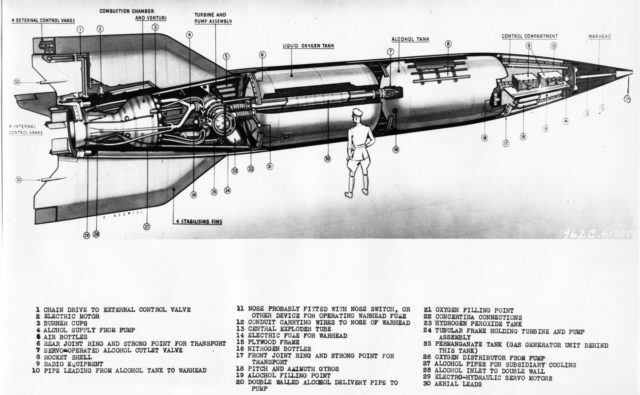 Although the V1 flying bomb sowed fear during its terror campaign in Great Britain, its successor ― the V2 ― would prove much more dangerous. 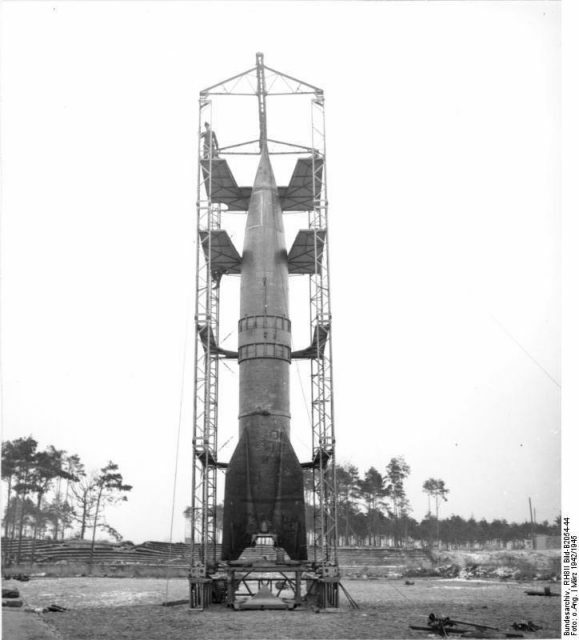 Designated as A4 in its prototype phase, the V2 was a response to the frequent Allied bombing of German cities in the late stages of the war, mainly targeting civilian objectives in an attempt to cause panic. 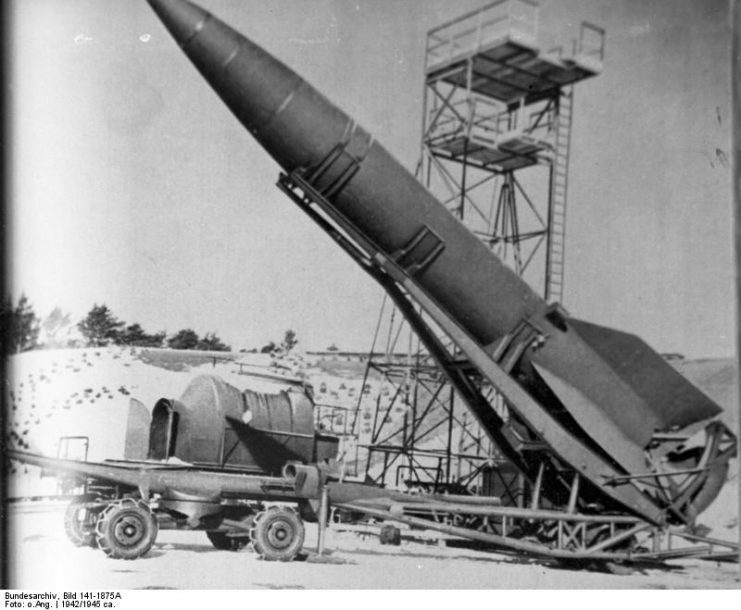 While V2 production was originally scheduled in Peenemunde, by 1943 the facility was compromised by Allied bombers, forcing Von Braun and the others to move once again. 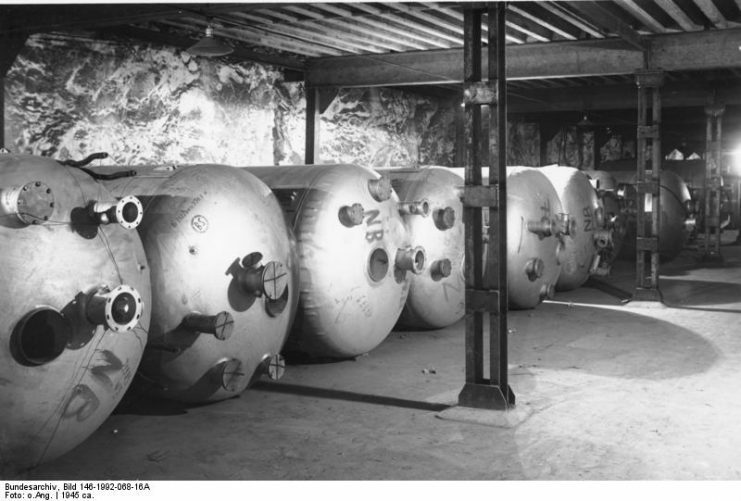 As a result, Germany built special underground compounds at Nordhausen (Mittelwerk) and Ebensee in order to continue work on the V2. 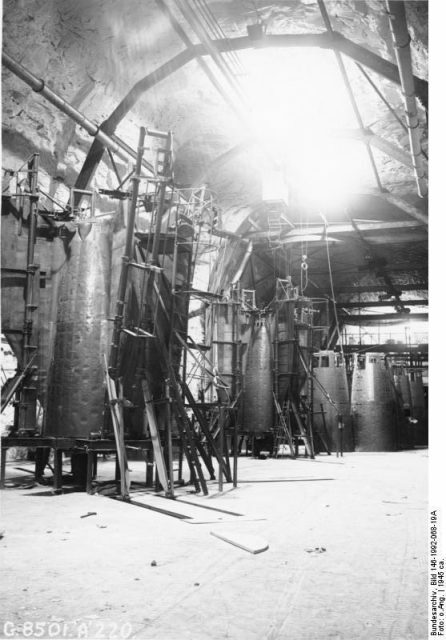 Construction was done by forced labor of concentration camp prisoners, many of whom would leave their bones there. 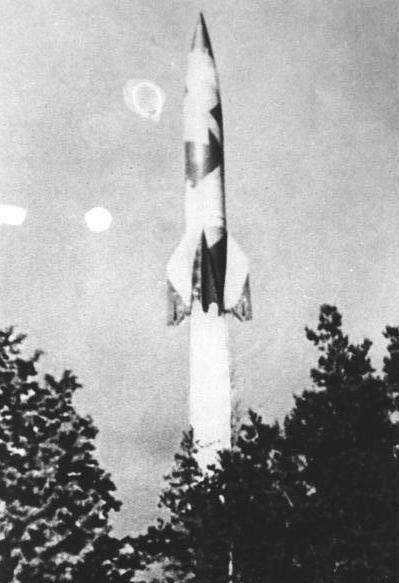 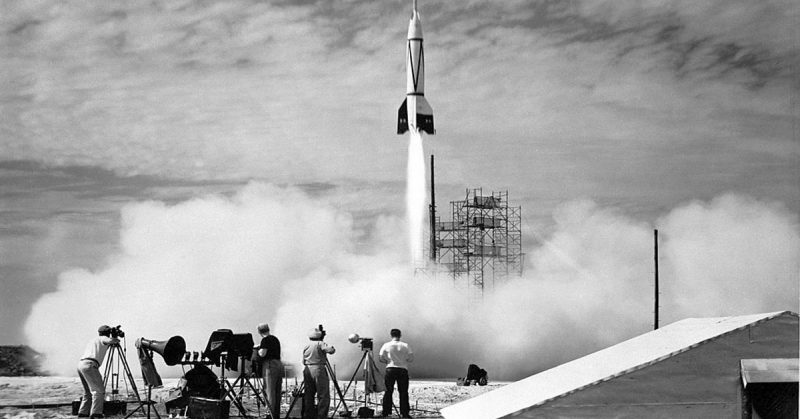 The V2 was the first ever functional long-range guided ballistic missile, capable of hitting ground targets from a distance of 200 miles (320 km) after flying on the very edge of Earth’s atmosphere. 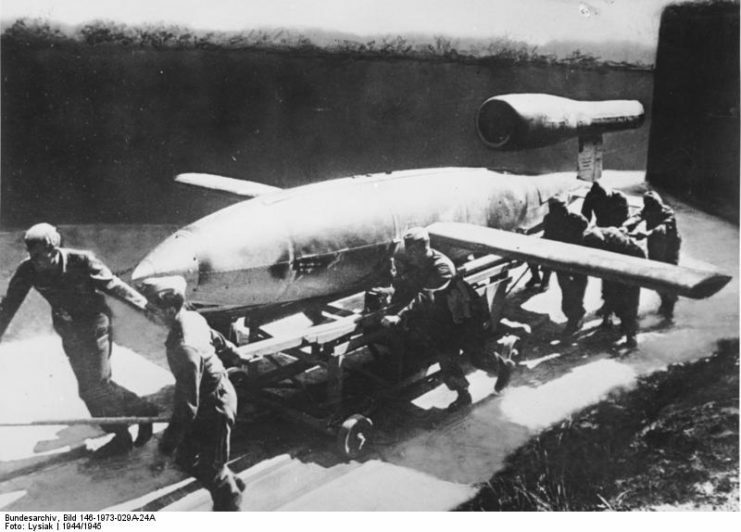 London took most of the beating when Germany began putting the V2 to use. 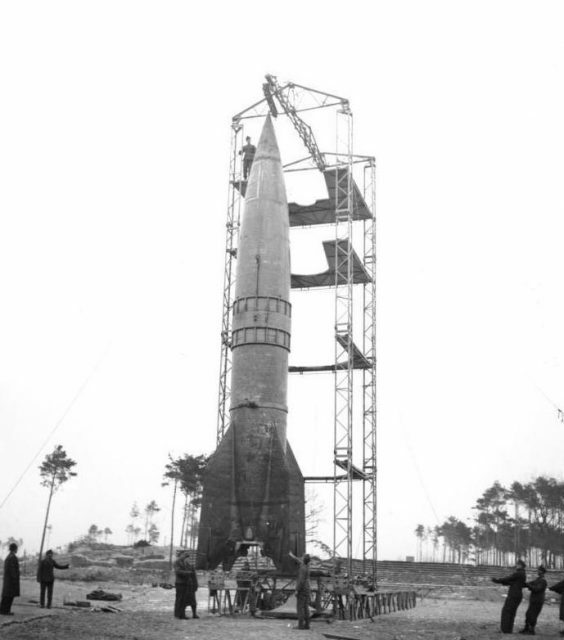 Later, as the Allied front pushed forward in 1944, its principal targets became the Belgian cities of Antwerp and Liege. 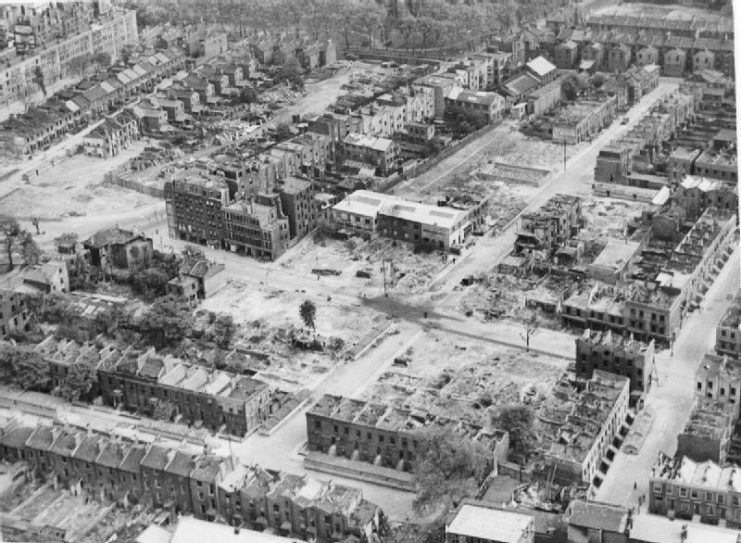 Bomb Damage in London, England, April 1945. 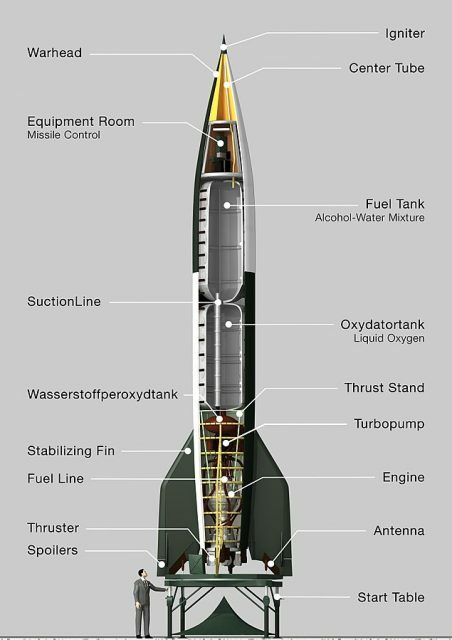 It is estimated that over 3,000 V2 rockets were launched against various targets from September 1944 until 27 March 1945, when it was reportedly last used. 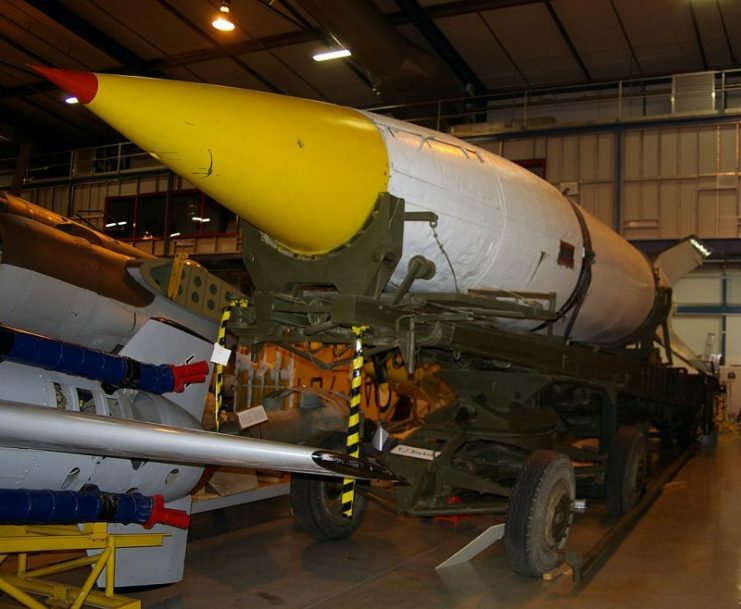 According to the BBC, the rockets directly caused the deaths of an estimated 9,000 civilians and servicemen. 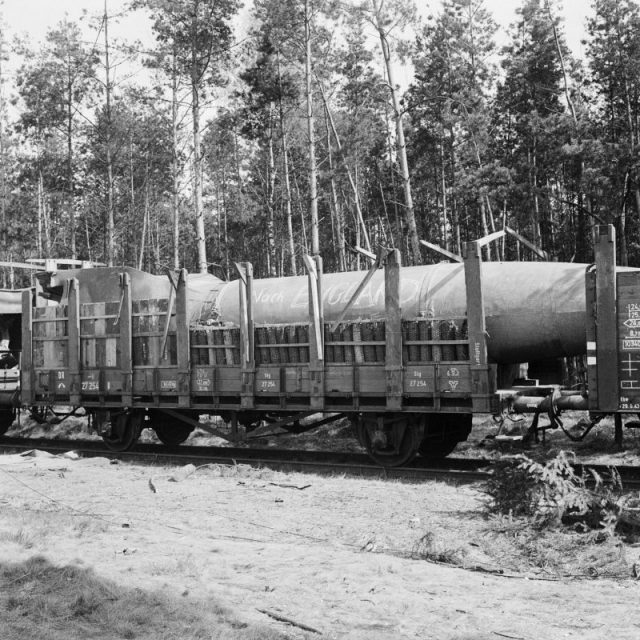 Another 12,000 laborers perished from various causes during the production process. 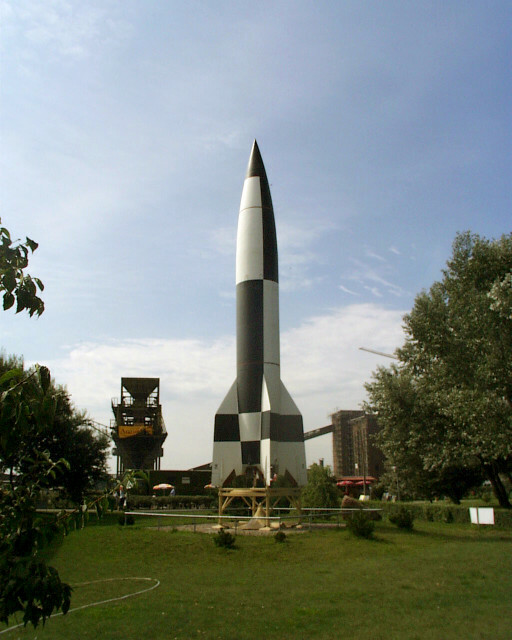 Hailed as the weapon of the future, but arriving too late to turn the tide of war for the Germans, the V2 rockets became loot of utmost importance for both the Allied and the Soviet armies. 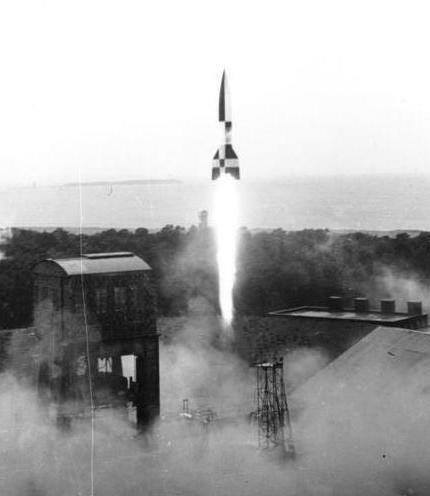 The two sides of the impending Cold War would use Germany’s advanced technology to produce their own ballistic missiles capable of carrying nuclear warheads, as well as conduct flights into space. 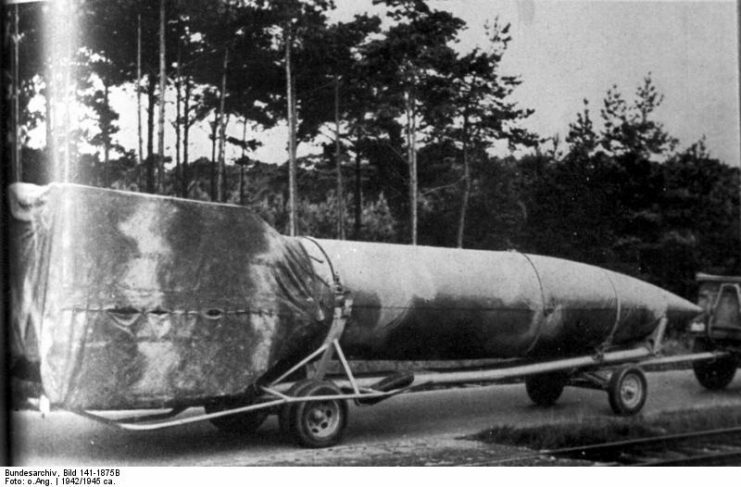 A V2 rocket loaded on a railway truck at Leese in Germany ready for transport to the launch site. 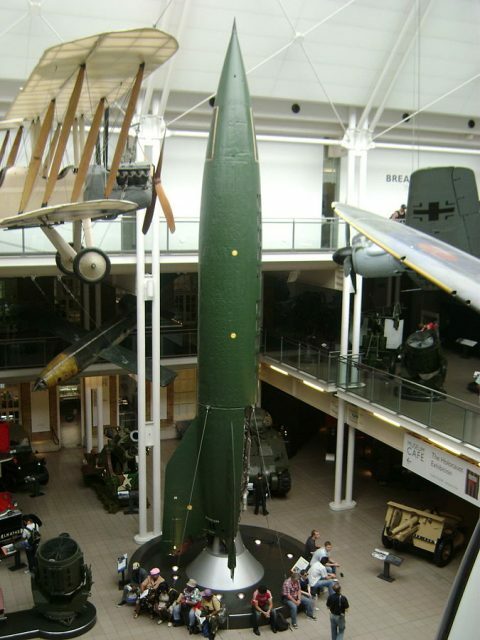 V2 rocket on display at the Imperial War Museum, London.